Today I have another video for my makeup artist series. Due to viewer demand, I've decided to make a video highlighting Graftobian products for a professional makeup artist kit. If you're a makeup artist looking to effectively and affordably build your kit with professional foundation products, this video is a must-see. Check out my video! I take 20 minutes to talk very thoroughly about the different products and how to use them. 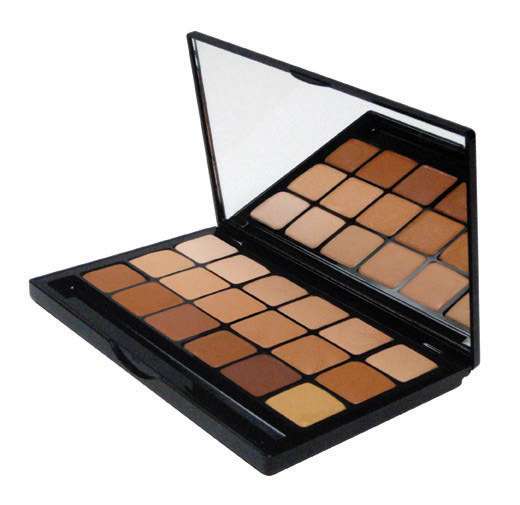 Each palette offers 18 diverse shades. 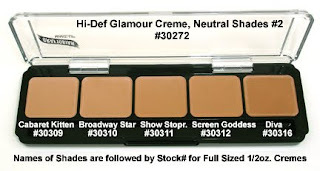 The texture is super creamy, HD Friendly, can be used as cream concealer, high coverage cream foundation, thinned out as liquid foundation (I like to use MAC Face & Body mixing medium), or as tinted moisturizer (mixed with moisturizer). I would recommend starting out with the Warm Palette. These 5 pan palettes are grouped by shade families and they're a great way to add on more specialty shades if you start out with just one of the super cream palettes. 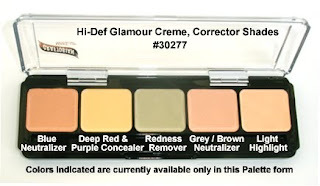 You can buy this with all corrector shades or you can buy the colors individually for $7.99. 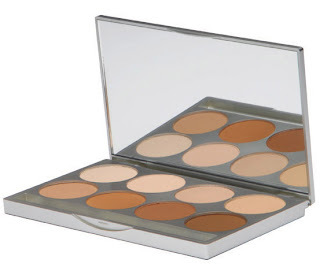 This is great for correcting and concealing prior to foundation application. I like how it comes in one convenient palette. I mainly use the orangey pinky shades for correcting undereye circles. If you want to try their airbrush foundations that perfectly coordinate with their Glamour Super cream palettes, these are a great deal. $79.99 for an 8 Pan Refillable Palette. Or you can buy each shade for $8.50 and make your own customized palette. These are amazing for multiple reasons. You can use them on their own as powder foundation...they even work wet. I mainly use them to set foundation and correct cream/liquid foundation. If you go to light for example, add a darker powder on top and instantly it's corrected. You can also use these to highlight and contour. Starting out, I would recommend with the neutral palette. The great thing about all these foundations is that you can always recommend the full size product to a client if they like what you apply on them. Or you can also buy one for yourself. You can find all of these products at www.Graftobian.com. 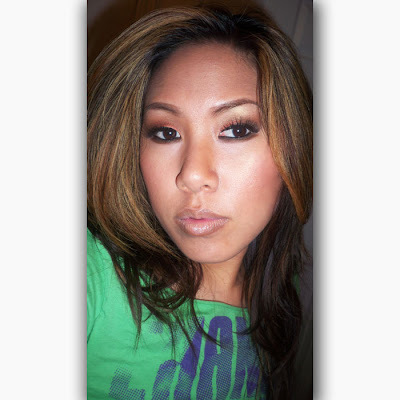 They're also available at www.camerareadycosmetics.com. If you're lucky enough to attend IMATS, they'll have a booth with all the products to try and test and swatch. They'll also have two of their amazing, Emmy award winning artists there who will be chocked full of knowledge. Stay tuned for part two where I show you how to apply the foundation from start to finish. Thank you Ren for breaking down the importance of palettes and the wonderful range of graftobian! LOVE Graftobian! 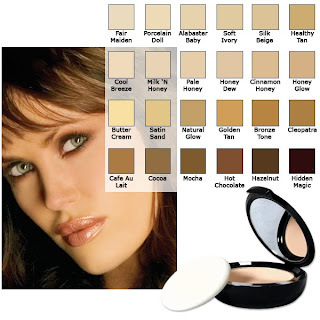 Hi, You mentioned using MAC Face & Body mixing medium to turn the cream foundation into liquid foundation, but thats only available for pros, could you please let me know what is a good alternative to the MAC mixing medium please. 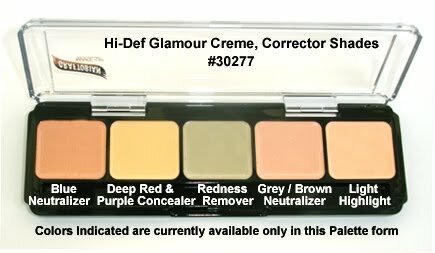 Also in the Gratobian website I saw they have Corrector/Neutralizer Wheels are this same as there HD Glamour Creme Palette, Corrector Shades? Thank you Ren for the really insightful review. 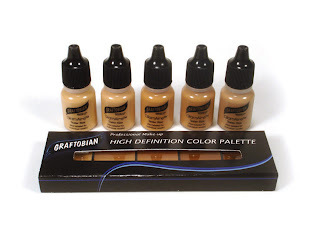 May I ask what Airbrush compressor are you using w/ Graftobian Glamaire Airbrush foundation? Thank you.